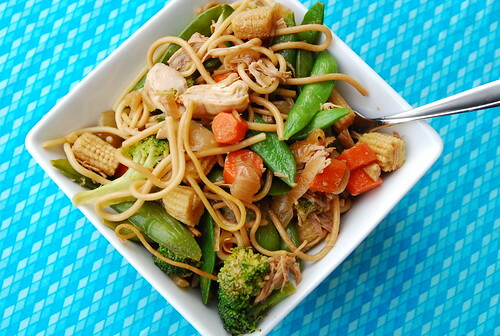 If there’s one thing our whole family can agree on, it’s stir fry. Throw some noodles in and you’d think my kids had found themselves in Disneyland — they LOVE noodles! So when I combined them in this quick weeknight meal, I’m pretty sure I struck gold. p.s. We have a wok and it was perfect for this, but you could also do it in a large frypan. 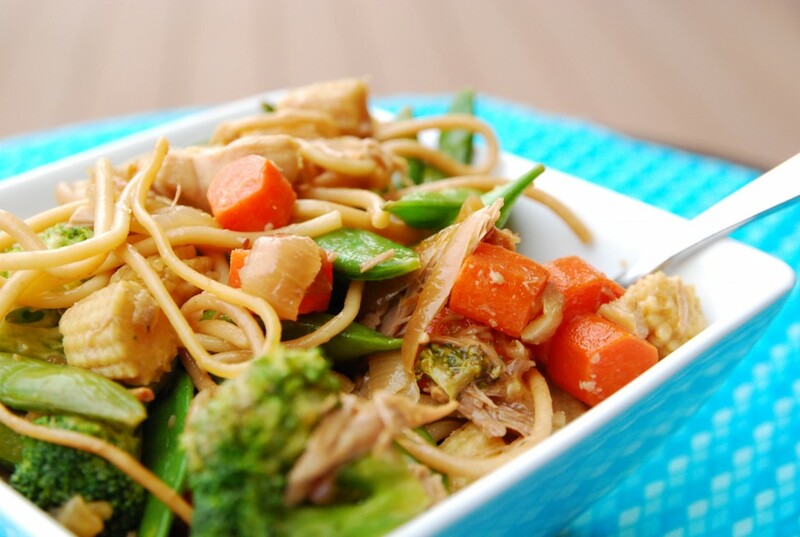 In a large skillet or wok, stir-fry chicken in 1 tablespoon oil for 5-8 minutes or until no longer pink. Remove with a slotted spoon. Stir-fry broccoli, carrots, snow peas and baby corn in remaining oil for 5-6 minutes or until crisp-tender. Stir cornstarch mixture and add to the pan. Bring to a boil; cook and stir for 2 minutes or until thickened. Stir in chicken and pasta; heat through. Sprinkle with peanuts. This looks so yummy! I love lo mien, and this seems like a super easy sauce to go with some quick cooking ingredient. Thanks for posting this!